Bonjour lecteurs! It has now been over a month since I started using the Silk’n Lipo. 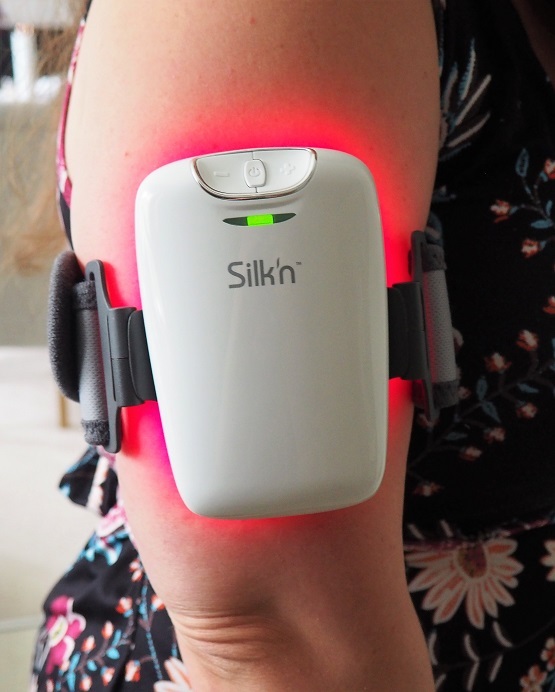 This new device is now available for you to use at home, using similar technologies only available in skin clinics or a doctor’s offices in the past. Combining LLLT (Low-Level Laser Therapy) and EMS (Electric Muscle Stimulation) technologies, it helps reducing fat in targeted areas. 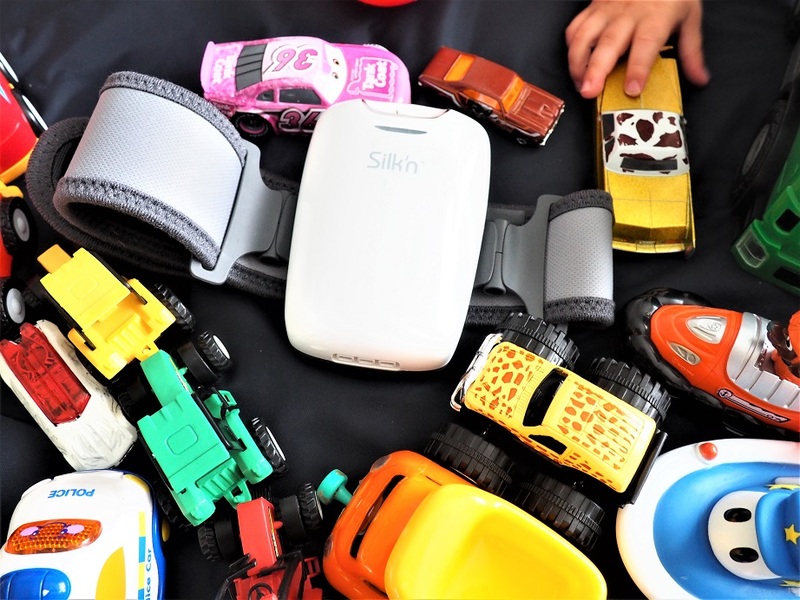 So here is our penultimate post with Silk’n Lipo to the Test – Weeks 5 & 6. Next time, I will publish an overall Silk’n Lipo Review with our final results after having used it for 10 weeks. In my previous update two weeks ago, I shared with you how successful Silk’ n Lipo has been for me. I am very surprised by the results. I must say that I have not been using it as much as the previous weeks. I didn’t make the most of it as we were off last week and I barely thought about it. No excuse really. The units are so easy to pack. Plus Silk’n Lipo is so facile to set up, I should have taken it with me. As a result, I only did it twice last week. But I made a better effort over the last few days. I got back into the routine to do one session on each part of my body in the evenings. Plus you only need 15 minutes for it to be effective. I did not worry about my legs (I probably had 3 sessions overall) while I really concentrated on my tummy. The results are very insightful. While I did not work so much on my legs and therefore, my measurements did not change there, I am surprised to have lost 0.5 cm on my left arm. I didn’t apply it as much as I used to and yet I still lost some fat. So easy to use while in the kitchen! I am obviously very happy with my waist circumference’s progress. It shows that if you regularly utilise Silk’n Lipo, you can get good results. At the end of the day, it’s like everything else when it is about diet and getting fit. It is all about good routines. If you want it to work, you have to frequently do it. Silk’n Lipo to the Test- Let’s finish our challenge en beauté! Maintenant that I know that it is all about how often you use Silk’n Lipo to achieve your target, I am really going to give it a push for the final weeks. It’s not totally rocket science, but sometimes it is facile to forget it, right? After all, there is no point using Silk’n Lipo and then stuff your face with pizza on the side. It’s not a miracle solution, it’s a routine that works best when applied within a good regime. 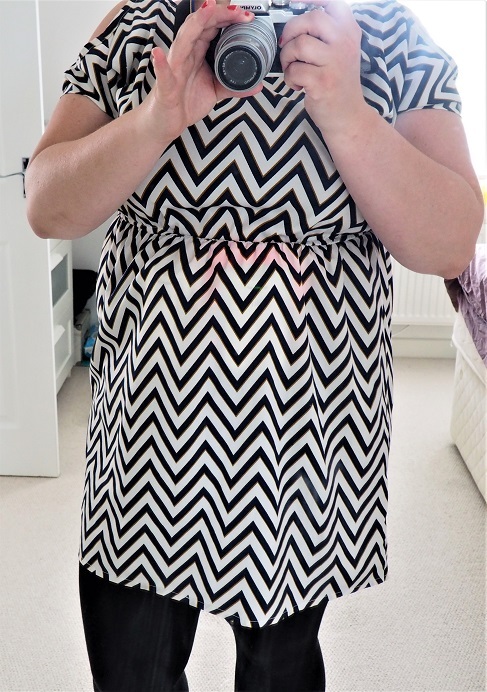 You can see the device doing its magic under my dress! Next time will be my full Silk’n Lipo Review with a summary of the challenge I embarked on 8 weeks ago. If you fancy cathing up on the journey from the start, read all our Silk’n Lipo posts on the blog now! See you then with our final thoughts! 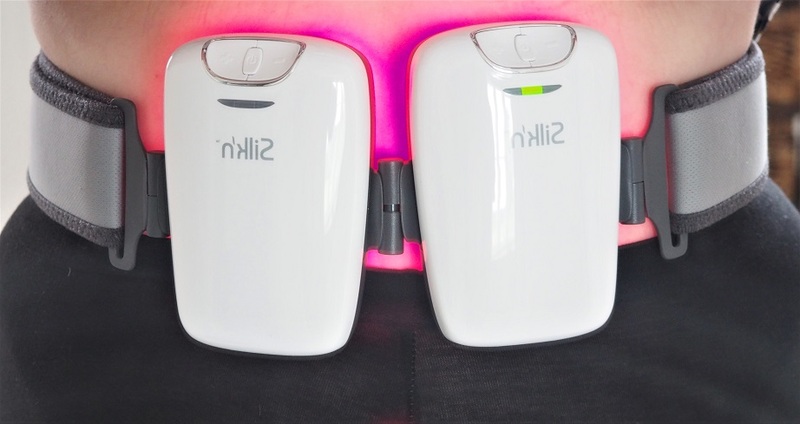 Thanks for reading this new update of our Silk’n Lipo To The Test series. If you fancy trying the Silk’n Lipo too, regardez here for more information. Disclosure: This is a collaborative post with Silk’n Lipo. I received this device to test it and I am sharing my results with you. 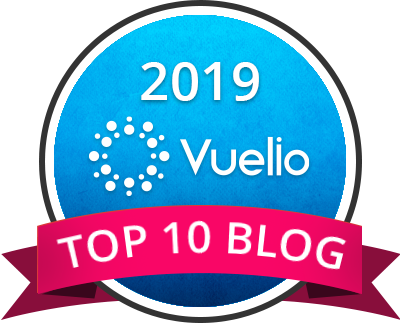 well done – can’t wait to see the next results! 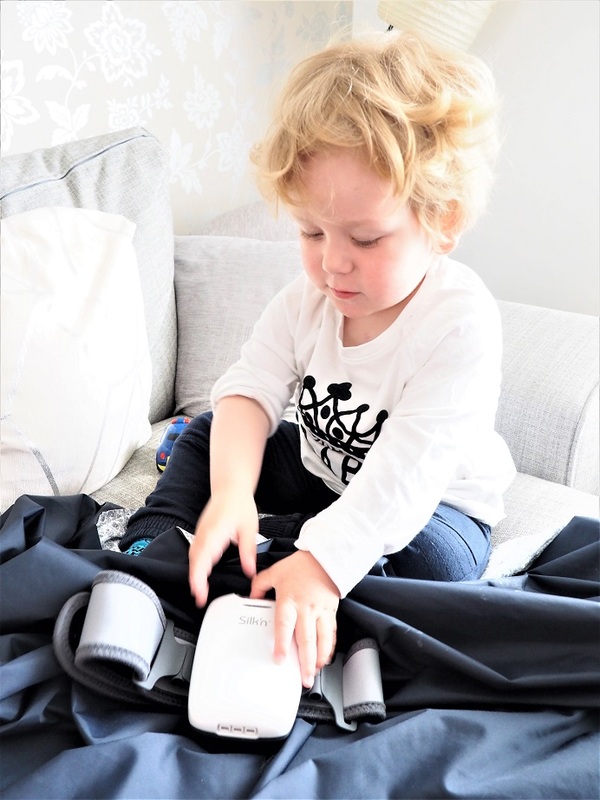 Oo this sounds like a really interesting device and the results speak for themselves 🙂 It’s just finding time as a parent that I think will be tricky! Sounds amazing! So good to read of your great results. I’ve not heard of this before and looks like the initial results have been promising – looking forward to reading your final thoughts! Interesting results so far. Will be coming back to read your final review. It’s always great to see favourable results and even better when it is your body getting trimmer! You are so right though, it is really important that people don’t see this as a get rid of fat quick kind of thing but more part of healthy eating and exercise regime. What an interesting product, lost quite a bit in areas when it wasn’t used full. Easy to put on when your watching tv!! It looks like it does a really good job, even as you say, if you’ve not used it religiously. You still get the results! Looks like a great product and looking forward to reading your final review. Oooh I’m definitely looking forward to seeing your final results! 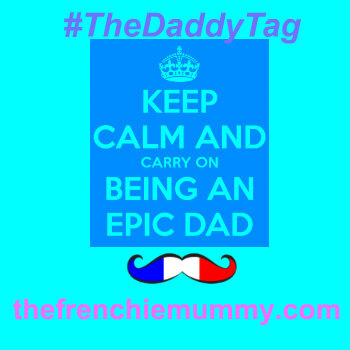 What a fab little gadget! Worth a a try unsure if I would use I’d be nervous ?? Would love to lose some fat off my thighs and stomach. This looks fab – I have fat thighs and flabby tum, this would be great to help me overcome them! Interesting results. Look forward to the next update. Incredible results. Well done and a great read. Wow, go you! Great results, I’m intrigued. I’m really interested to try this ! Will definitely be looking into it ! I heard about this device but wasn’t sure until I read your post. Total convert here! great to read your results, you often wonder if these type of things actually work, or is all just hype? These are very surprising results – they are also impressive. Thank you for sharing your experience here. Interesting read. I am often sceptical about these sorts of products but perhaps this one is really worth a try! Wow I can’t believe this worked and shows great results. I would love to give this a try! I have always wondered about what results to expect. Thanks for sharing. I just want to try this so much! I think my mum would definitely want to pinch it from me if i had one! Well done for being organised enough to stick to the routine! The results certainly are impressive. Has anyone else tried this? I have actually read some positive reviews and tempted to get one! Your results are incredible wow! Thank you for sharing with us.